With a lot of help I built this raked floor into a space at Fieldgate gallery in Whitechapel, east London. It was part of a show called Parallax curated by Richard Ducker. 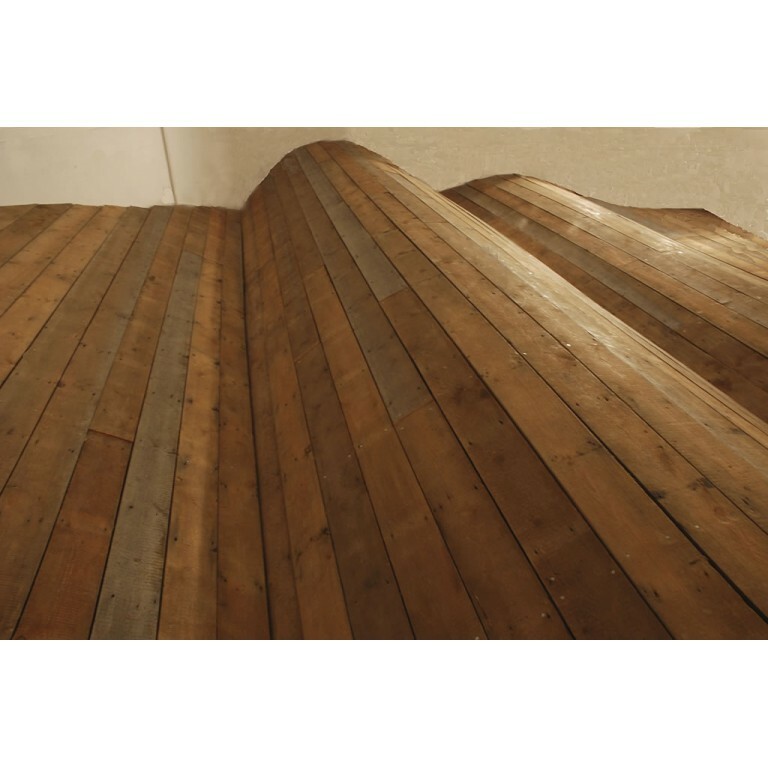 As a piece of interactive art it invited people to climb – or even roll – up and down its slopes which get larger as they reach the far side. I see this as a maquette for a much larger and more ambitious version I hope one day to make. There would have to be a higher ceiling than there was in the space at Fieldgate to allow for a sequence of 10 – 15 humps getting higher all the time to give it much more impetus. We used recycled floorboards and joists to build it into the room.